PING G400 driver review - ultimate forgiving driver for 2017. The PING G driver was a favourite in the GolfMagic HQ, picking up numerous accolades including a gold award in our annual driver test. It was outrageously forgiving, relatively long, and produced a lovely, lively feel. Somehow, Ping has managed to improve on all these attributes in the new G400 driver. At address you won’t notice a lot of difference. It appears to be slightly deeper than the PING G big stick, but you will notice the turbulators, DragonFly and Vortec technology remain on the crown. The head is slightly smaller (445cc) but you won't notice. On the sole you will notice the tungsten weight, and a new colour scheme. The shaft changes colour as you address the ball - from copper to black - which we think is a fun addition. The driver promotes confidence sat behind the ball - overall it's a great looking product. Similar to the superb feel of the G driver, but slightly smoother and more responsive. It has a light, soft feel and the sound is lively. On the side of loud. 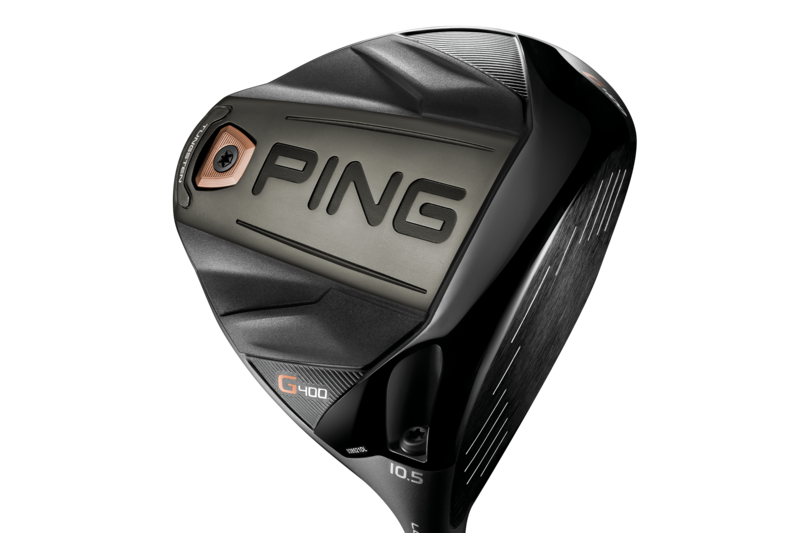 The PING G was one of the most forgiving drivers on the market in 2016, and the G400 manages to build on this even more. The driver has a very low CG thanks to the tungsten weight in the sole, and weight has been moved around thanks to DragonFly technology. A forged face increases flexing, also improving forgiveness. From all over the face, there is a ridiculous amount of forgiveness which will appeal to high and low handicappers alike. More pronounced turbulators and a streamlined head is designed to improve aerodynamics - our club head speed was a couple of mph more, but whether that was the driver or not is hard to tell. In the distance stakes we were eeking out a couple of extra yards - up to five yards on the really well struck shots. We also found the driver performed better into the wind compared to the G.
After tinkering with the set-up, we got the driver spinning at around 2,200 rpms, which is exactly what we were looking for. More forgiving and longer than the PING G - this is one of the top performing drivers in 2017, and we expect it to fly off the shelves. A well rounded club, that ticks all the boxes. Head to the PING website for more information.